Is it a good idea to run Ubuntu natively on Windows 10? 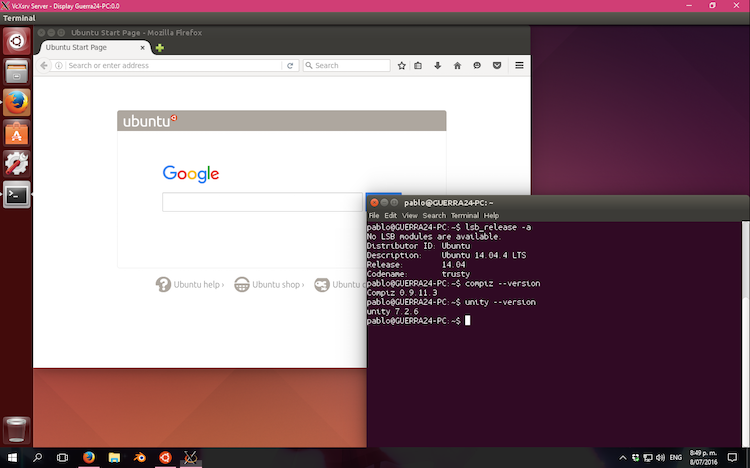 When the GitHubUser Guerra24 shared the image of Ubuntu Desktop - Unity 7 running on Windows 10 natively, the first thing that came in my mind was, why! Why is there the need (of course for Canonical) to run on Windows? Guerra24 on the GitHub wrote that he was able to run Unity inside WSL, and although there were many issues and bugs and it's just a sort of hack, the image posted by him was promising. He was also able to port xfce4 desktop environment. We can see the Ubuntu and Unity running on Windows. The only programs that can be run are from the panel and using terminal is not possible as of now. You can't logout from Ubuntu by the usual process, you will need to exit by closing compiz. ZDNet even published an article for running the native Ubuntu on Windows 10. Now, coming to the question. Why is there even a need of running an open-source OS on to the most closed OS? Isn't there a conflict of two different mindset? When the Bash for Windows was launched, it received a mix reaction among the Linux world. Some supported it saying it will improve the reach of the Ubuntu and Linux which is at present has less than 3% market share. Others just hated it, saying it to be the Canonical's worst decision. If you want to run Linux Ubuntu or any other distro, you can just run it without Windows at all. Canonical has been able to make Ubuntu very user friendly and the wide support of open source enthusiasts has made almost every thing available. There is nothing you can't do on a Linux Mint or Ubuntu. Yes, there comes some geeky steps sometimes, but someone using a PC should be able to carry out these tasks with a little help of Google. On the other hand, to those who finds Windows 10 user Interface and ease of use better than a Linux OS but still want the powerful console, this is a good thing. Its like, hey I am using a nice OS along with the most powerful OS. Lets have a healthy discussion, post your views in the comment section.